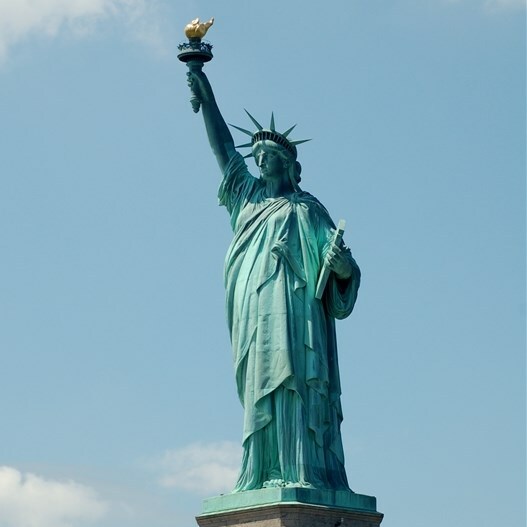 The Statue of Liberty is one of the abiding images of America, and Ellis Island is one of the country’s most important historic sites. Spend the day visiting one or both of these two landmark national parks. We will board Statue Cruises at Liberty State Park located in New Jersey to make our way to the islands, and as a bonus we are treated to a fabulous view of the Manhattan skyline en route. The Statue of Liberty is one of the abiding images of America, and Ellis Island is one of the countrys most important historic sites. Spend the day visiting one or both of these two landmark national parks. We will board Statue Cruises at Liberty State Park located in New Jersey to make our way to the islands, and as a bonus we are treated to a fabulous view of the Manhattan skyline en route. 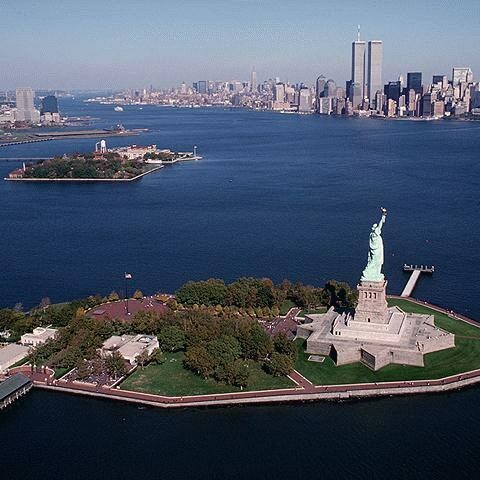 Included in your admission is access up to the Fort Wood section of the pedestal of the Statue of Liberty, priority entry into the boarding queue which saves you wait time at the departure point, access to the grounds of Ellis Island and Liberty Island, and an audio tour of Ellis Island and Liberty Island. 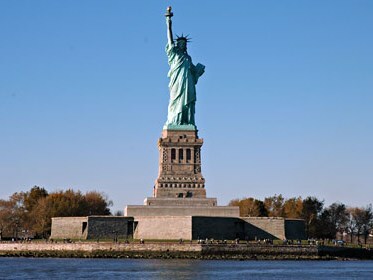 Note: Based on tour passenger suggestions, a longer day to enjoy all that the Statue of Liberty and Ellis Island have to offer was strongly recommended! There will be no rest stops made either en route to Liberty State Park, New Jersey, or on the return trip home. To fully enjoy your time on the islands, we suggest that you pack yourself a light lunch. The Statue of Liberty is one of the abiding images of America, and Ellis Island is one of the country's most important historic sites. Spend the day visiting one or both of these two landmark national parks. We will board Statue Cruises at Liberty State Park located in New Jersey to make our way to the islands, and as a bonus we are treated to a fabulous view of the Manhattan skyline en route. 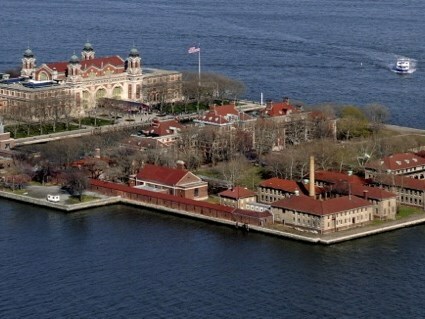 Included in your admission is access up to the Fort Wood section of the pedestal of the Statue of Liberty, priority entry into the boarding queue which saves you wait time at the departure point, access to the grounds of Ellis Island and Liberty Island, and an audio tour of Ellis Island and Liberty Island. 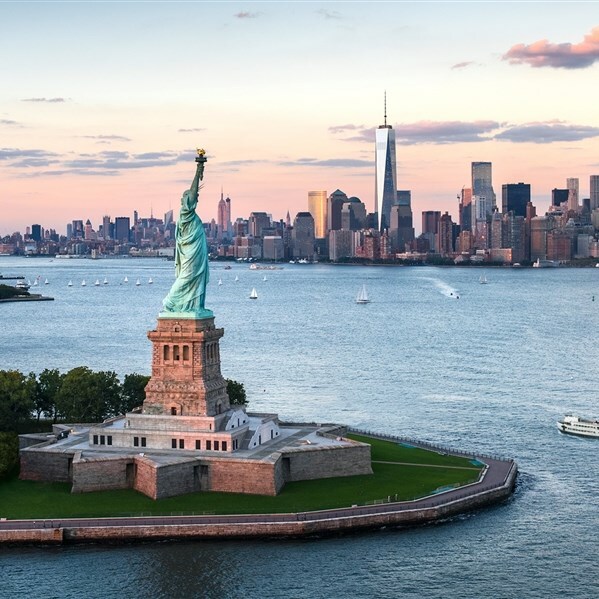 Note: Based on tour passenger suggestions, a longer day to enjoy all that the Statue of Liberty and Ellis Island have to offer was strongly recommended! There will be no rest stops made either en route to Liberty State Park, New Jersey, or on the return trip home. To fully enjoy your time on the islands, we suggest that you pack yourself a light lunch.